We continue to go through the bye-weeks going into Week 9 and picking up spot-starters, bye-week fillers, and players to put in for under-performers is key this week. Every week counts right now if you are going to make play-offs but you need to make wise choices these weeks. Charcandrick West (RB, KC) - he has more than likely already been picked up, but he is now the lead dog in KC and is a must grab RB. Stefon Diggs (WR, MIN) - he is officially the starter and you can see the talent and upside Diggs has; he is an easy grab to build up any bench. Gary Barnidge (TE, CLE) - he is a legit TE; his big issue right now is the extent of Josh McCown's injury. He is still a must grab player this week regardless of who is starting at QB for the Browns. Darren McFadden (RB, DAL) - honestly believed Christine Michael would have seen more action, but McFadden did a ton this weekend to prove that he should be more of a lead RB. He is a must-grab at this point. Willie Snead (WR, NO) - he shouldn't be available but he has so much upside weekly that he will get you through the bye-weeks and give you weekly starter potential. Jordan Reed (TE, WAS) - he is a reliable weekly starter for any under-performing TE or bye-week fill-in. He is a must grab. 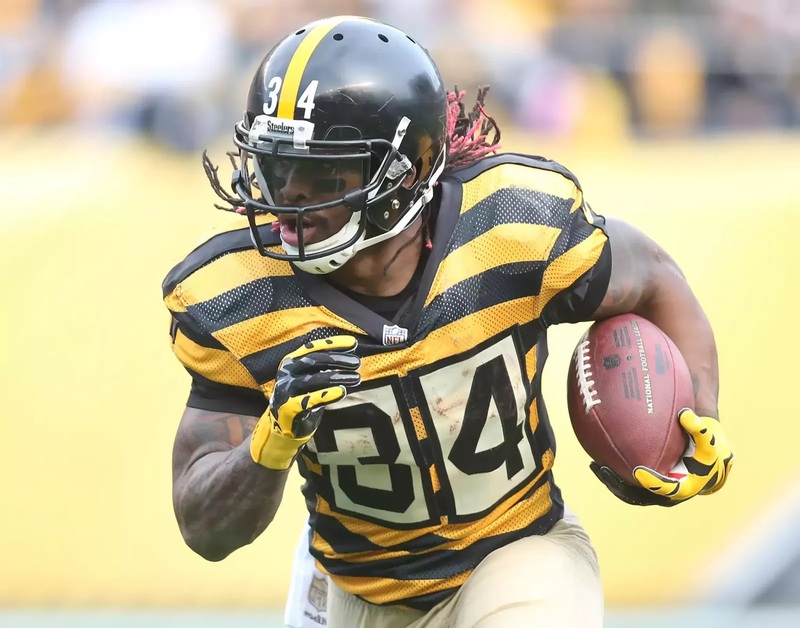 DeAngelo Williams (RB, PIT) - one of the top pick-ups of the week with Bell going down for the rest of the season; you know what you are getting here and he will produce 70 to 100 yards with TD upside a week. Jeremy Langford (RB, CHI) - Matt Forte will more than likely miss time and Langford will step in as the starter. He is a solid pick-up this week. Davante Adams (WR, GB) - didn't do a thing against the Broncos this week, but was on the field the entire game. He needs to be targeted on waivers this week for his upside for the rest of the season. Tyrod Taylor (QB, BUF) - he should be back from injury next week and knowing he is most likely gone, but if you are in need of a QB for Week 9 then look to Taylor. Alfred Blue (RB, HOU) - Arian Foster is done for the season and Blue should become the lead RB in Houston. Blue was given the start and also made catches out of the backfield. If you are in need of a RB in a PPR league then you can look at Blue, but keep expectations low. Tavon Austin (WR, STL) - the Rams continue to look like a new team with Todd Gurley and Austin will get looks weekly. He presents a three to five catches for 40 to 70 yards with TD upside weekly. Rishard Matthews (WR, MIA) - he keeps ending up on this list weekly and has the talent to be a spot-starter. He has solid upside and is worth picking up to build your bench. Antonio Andrews and David Cobb (RB, TEN) - Andrews is on the list again this week; he is safer in a PPR league and does offer some TD upside. The issue for Andrews is when David Cobb returns he will start to lose carries. David Cobb should be back in Week 9 and is a RB to target this week. Derek Carr (QB, OAK) - had a solid weekend this week, but is going to go up against the Jets next week, so temper your expectations here. He is a nice back-up but you still you have to monitor who he plays against before you start him. Heath Miller (TE, PIT) - Miller is a different player when Big Ben is at the helm; he presents some PPR TE upside with TD potential. Not my favorite TE on this list, but is a TE to consider if you are in a very deep league. Austin Seferian-Jenkins (TE, TB) - he should return next week and will be a TE that will go under the radar in waivers this week. He has tons of PPR upside and TD potential and is one of the top TE's to target on the wire this week. Charles Sims (RB, TB) - he is getting carries in Tampa, but Doug Martin keeps Sims value capped. He is a hand-cuff for Doug Martin owners. Malcom Floyd (WR, SD) - with all the injuries and potential injuries in San Diego then Floyd gets a chance to step up and lead the way in catches. He only has tangible upside if Steve Johnson or Keenan Allen miss any time. Stevan Ridley (RB, NYJ) - when he gets back on the field he will slowly eat into carries and be used in passing plays. If you are in a deep PPR league then you can stash Ridley now. Michael Crabtree (WR, OAK) - he shouldn't be on your waiver wire, but in some leagues he is on the wire. He is targeted enough and presents enough TD upside to be a solid spot-starter weekly. Jameis Winston (QB, TB) - looked solid against the Washington Redskins this weekend and is starting to connect with Mike Evans. He is coming along as a QB and can be relied upon as a bye-week starter. Marvin Jones (WR, CIN) - he was on bye this week, but people may have forgotten about him as he has been showing solid bye-week fill-in potential. Nate Washington (WR, HOU) - he had so much garbage time fantasy points it's hard not to give him a look, but what we did see is that he is the WR2 in Houston and will get continued targets weekly. Ben Watson (TE, NO) - he will continue to catch between four and six catches a week with TD upside from Drew Brees. Jacob Tamme (TE, ATL) - the problem with Tamme is that he is not consistent, but he can be used as a spot-starter in PPR leagues. Kamar Aiken (WR, BAL) - with Steve Smith done for the year Aiken becomes the starting receiver in Baltimore. He should be solid in PPR leagues and is a WR to target this week. Michael Floyd (WR, ARZ) - he has upside if John Brown stays out another week; Brown will most likely play next week but if does stay out another week then Floyd can be used as a spot-starter. Mike Davis and Kendall Gaskins (RB, SF) - Mike Davis will most likely be healthy next week, but if he is out then Gaskins will get the start. It's hard to recommend either RB, but for those in dire need this is a starting RB to look at. Christine Michael (RB, DAL) - Joseph Randle is slowly dwindling away and Darren McFadden has an injury history, so if you are in a deep league and many of the other top RB's get picked up then Michael is the guy to stash. Orleans Darkwa (RB, NYG) - dynasty league owners only here; this is a crazy RBBC in New York and can't advise him in redraft yet, but should be monitored. He had an injury this week, but keep a close eye on his status. Crockett Gillmore (TE, BAL) - he will continue to see increased targets with Steve Smith going down for the rest of the year. I like him as a spot-starter for bye-weeks going forward. Marquess Wilson (WR, CHI) - he is super dependent on Eddie Royal's injury and if Royal misses time and you are in a deep league then you can consider Wilson for Week 9. Stevan Ridley (RB, NYJ) - another player to watch in deep leagues as he should return soon to play and give relief to Chris Ivory. PPR league owners should pay attention to Ridley. Robert Woods (WR, BUF) - Sammy Watkins will most likely be back after the Bills, so temper your expectations here, but he is worth monitoring.